Cast iron cookware has excellent heat retention and distribution for panfrying, sauteing and finishing food off in the oven. The handle helps handling pan with control. 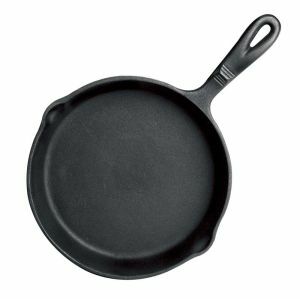 Seasoning is used to protect bare cast iron from rust and to create a non-stick surface. Using heavy bottomed pans dent easily, otherwise acidic foods like fruits and wine, and may discolour white sauces.